I want to share a lesson that I learned a long time ago. The students in my class are not all like the student I was at their age. I know this seems like a simple concept, but what I found was that I was making assumptions about my students based on the kind of life I had. It was frustrating at times to see that some of my students weren’t performing like others, even though I was teaching them all the same way. When I started investigating more into the lives of some of these under-performing students, I began to see that I was totally wrong about my assumptions. I realized that one student can be the polar opposite of another student, and that I would have to change my assumptions about them if I wanted to be successful. I chose to assume the worst. I figured, if I assume the worst, then those students who are the most needy will not get left out of what I was teaching in the class. Does that make sense? So I came up with 10 Teacher Assumptions for a Successful Classroom. 1. Assume every student is coming to your classroom with some kind of baggage. I grew up in a loving, caring family where my parents put a high priority on education. Unfortunately, as I learned quickly when I became a teacher in the inner city, many students have terrible home lives. Others may be dealing with emotional or psychological issues that are not documented in their student file. If I assume that my students come in to my class with some kind of baggage, I am going to be more patient and understanding when they make a poor choice. 2. Assume that the parents of your students don’t read emails. If it’s important enough to send an email, it’s important enough to make the phone call. Email is easy. I find myself checking my email way too much, so I assume that everybody is just like me. I am constantly being reminded that not everybody is an email junkie like me. As archaic as it is, I need to pick up the ancient device called the telephone. 3. Assume that your students hang on your every word. I once told a student that his work was sloppy. I didn’t mean anything by it, and to me it’s not that big of a word. To him, however, it was devastating. What I didn’t realize was that my opinion meant the world to him. I learned that to some students, my words carry so much weight, although they may seem trivial to me. For that reason, I need to watch what I’m saying. I need to commit to using my words to uplift and encourage, because if my words are that powerful, imagine the good I can do with these kids. 4. Assume that your students don’t get it the first time you tell them. 5. Assume that your students don’t have a quiet place to do their homework. My own kids know that they have to finish their homework before turning on the TV or computer. They have their own room where they can quietly work on their assignments. 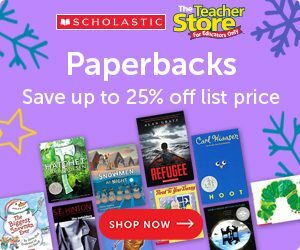 In many families, students have to do their homework while babysitting their younger brothers and sisters or helping with dinner or in the middle of the living room with everything else going on in the house, etc. Assuming that my students may have less than an ideal atmosphere in which to do their homework, caused me to offer more time after school in my class to complete it and to give the homework portion of their grade a little less weight. 6. Assume that your lessons are not that interesting. I used to believe that students loved my lectures, so I would go on for the entire class period. I learned quickly that although I thought I was funny and engaging, my kids only laughed for the first 20 minutes of my talks. It’s important to break up your lessons into small chunks that can hold the attention span of your students. It’s easier to be interesting for 15-20 minutes than for 25-30 minutes. Once they have reached their attention-span limit, everything you say after that will get lost. 7. 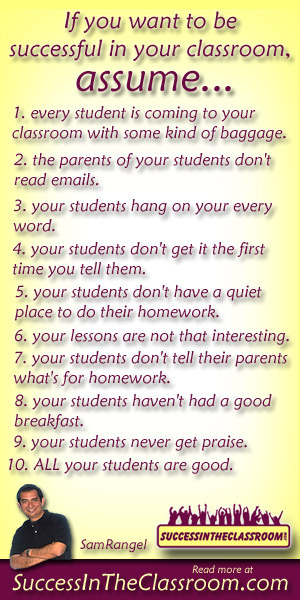 Assume that your students don’t tell their parents what’s for homework. 8. Assume that your students haven’t had a good breakfast. Having a good breakfast helps students get ready for school. Many students, unfortunately come to school with empty stomachs. They walk into your class like zombies, and we expect them to jump right into the lesson. Although we can’t give them breakfast in our class, we can have some kind of warm-up activity that gets them in the learning mode. 9. 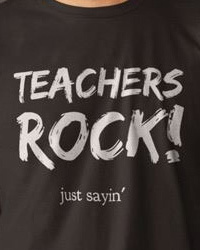 Assume that your students never get praise. 10. Assume that all your students are good. If you haven’t had those students yet, you will. You know what I mean – those students who fall under the category we call “bad.” They don’t respect authority. They have little or no morals. They like pushing your buttons. Every school as a few. What I’m asking you to do is to assume that even those kids are “good.” There is a place down deep, hidden beneath all the “bad” that has value. All of their lives, they have been told that they are bad. They’ve come to believe it and accept it as the truth. As their teacher, you will be given the opportunity to find that “good” in them and bring it out – to nurture it – to have it spread and overtake the “bad.” You may run out of time before that “good” becomes evident, but if you spend the year assuming that it exists, you’ll play a part in convincing that student of it, and you will be their hero. Some of these assumptions are easy. A few, however, will take a little extra effort, but it can be done. I always felt that it was better to assume the worst, and take action based on that assumption, than to assume the best and have a kid fall through the cracks. And what if our worst assumptions are wrong? What can it hurt if a student who does get praise at home gets a little more? Is there another assumption that I should add to the list? If you haven’t already done so, please “like” the SITC Facebook page. It would mean a lot to me. Thank you for taking the time to read this post. I hope it has been something that you found helpful. 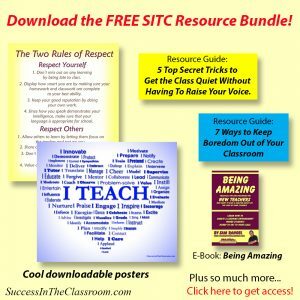 Get amazing tips and strategies for success in the classroom in your inbox along with a lot of other free stuff including our guide: 5 Top Secret Tricks to Get the Class Quiet Without Having To Raise Your Voice. Click Here. Right on target. I would add “Assume kids don’t have the requisite skills to complete assignments or know basic classroom procedures.” This assumption will require you to pre-test for skills and teach those that are lacking. When students move regularly, they often have large gaps in their learning. Teachers can’t afford to allow those gaps to remain. This assumption also requires that you teach and practice classroom procedures (which is always a good idea anyway). When students know and can follow procedures, it not only allows for a smoother classroom, but also provides a stability that many are lacking in their home lives. By the way, I shared your post with my entire faculty. I hope it leads to some productive discussions.